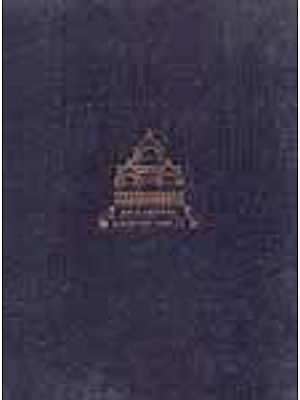 This volume covering a survey of the whole series of the Brahmanical Cave Temples in the Deccan was carried out by the author on behalf of the Archeological Survey of India under the Temple Survey project during the period between 1964 and 1968. It is Continuance of the story in so far as early rock cut art under Hinduism is concerned dealt with in No.1 of the Architectural survey of Temples series of the Archaeological survery of India published in 1964 on the Cave temples of the Pallavas as also the Part narrative on the early cave temples in Kerala to be found in No.2 of the same series the field work for which succeeded that of the present book. 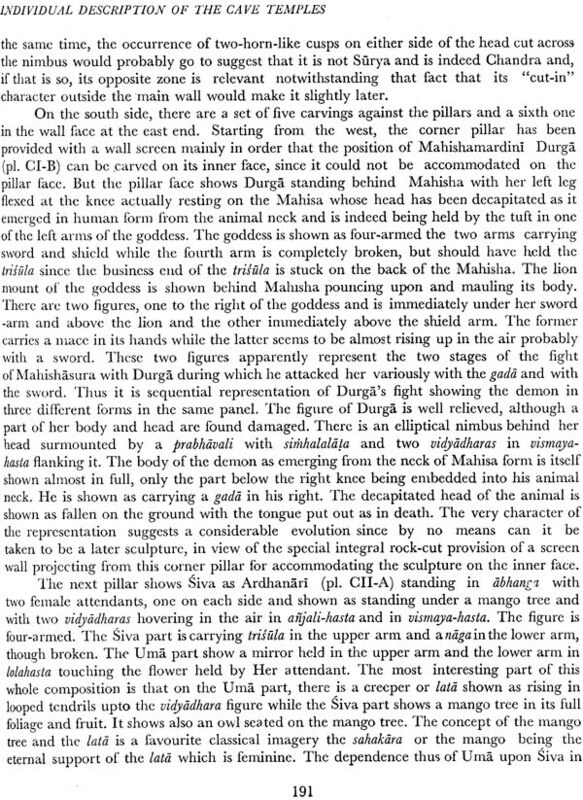 This work presents to the world of scholars and interested researchers alike a conspectus of the major and minor creations of the cave art enterprise as fostered in the Deccan between the Narmada and the North Pennar rivers and from the Arabian coast to the bay of Bengal in the periods approximately between the 6th century A.D. and 10th century A.D. by various dynasties the foremost among whom were doubtless the early western and Eastern Chalukyas of Badami and Vengi and the Rashtrakutas of Elapura. The treatment aside of its historical and cultural background date given in the initial chapters lays accent on the essential architectural format of the various regional cave temples covered. It highlights their fidelity to certain basic approaches in religious architecture and cult attunement to the architectural conventions as found pooled together in the socio cultural injunctions of the age. Being essentially an authentic first hand formal documentation of the rock excavations nothing the aesthetic as well as the compositional flair of these rock cut creations it inevitably steers clear of controversy in argument or a critical review on any views freely held on some best known of these examples by celebrated scholars on the subject. It does nevertheless purport to offer an assessment of the regional bias inferred by raw materials the awareness of free standing prototypes in perishable media and the iconographic unity within each region in art and cult aspects. Art history forms a creative reality of the age and where dated monuments are lacking should be analyzed by objective links with known convention. 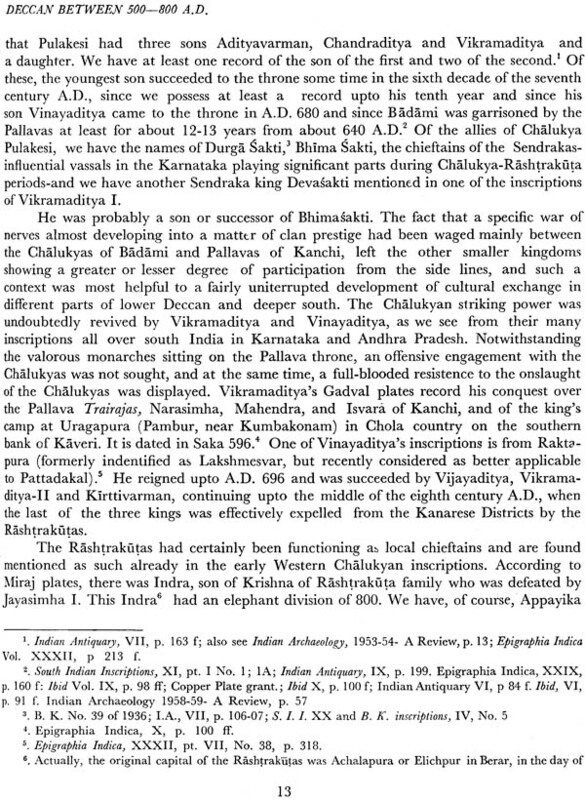 One of the main objectives of the documentation is that the great mass of data eastern wing of the Chalukyas should be made accessible to the scholars and research workers for further useful and specific studies on them to integrate them with historical and chronological evaluation of the art. Several respected scholars both Indian and foreign have been studying in depth the Chalukyan and other cave art and have endeared themselves to the muse of Indian culture thereby and these efforts are sure to be continued and likely to attract more and more of such devoted savants in future as well. 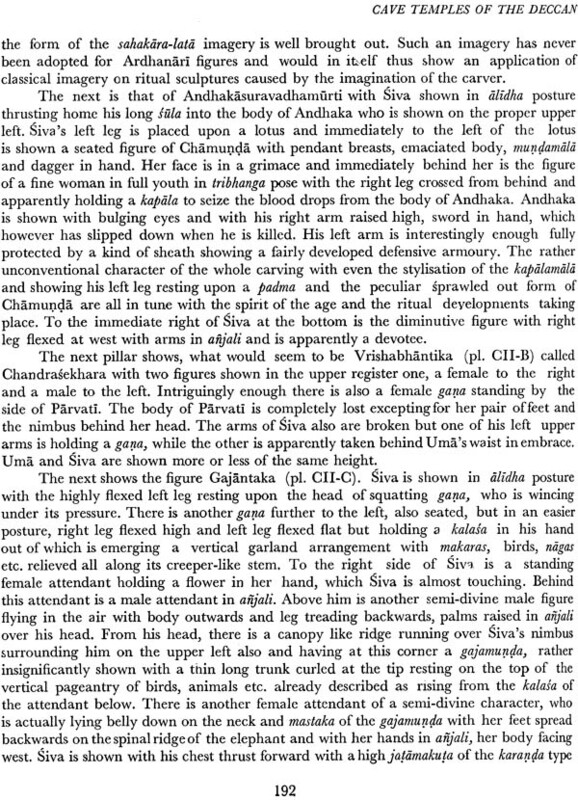 It is hoped they would all welcome this comprehensive formal savants treatment of the essential limbs and linements of the Brahmanical cave art phase I the deccan (in so far as it was possible within the competence of the author) so that they may delve deeper into it origins and formulations. Every new study is liable to bring out fresh implications of the architectural sheme for furthering a better perception of their motivations. This would indeed be one of the main expectations of the author also in presenting this volume. This vast and impressive display of cave art architectural as well as sculptural witnessed in the sites dealt with form the original base (or reflections in the rock cut medium) for much of the contemporary and subsequent essaying in religious architecture of the monolithic as well as truly structural categories. 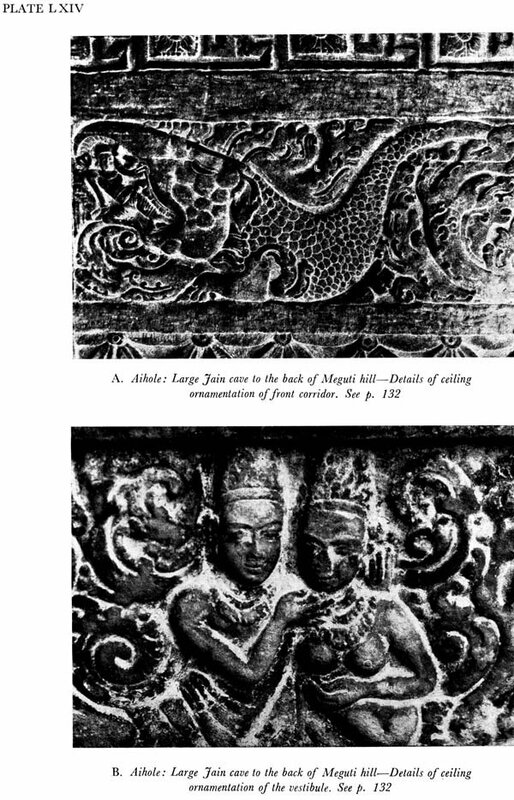 The Buddhist cave monuments of the disappearance of Buddhism from art scene after the 8th century in the Deccan and the resurgence of Brahmanical art and architecture the relevance of the latter for further developments is apparent. For the same reason Jain Cave Temples and carvings have been included for the present study within the period specified as Jainism art historically was then a running mate of Hinduism. 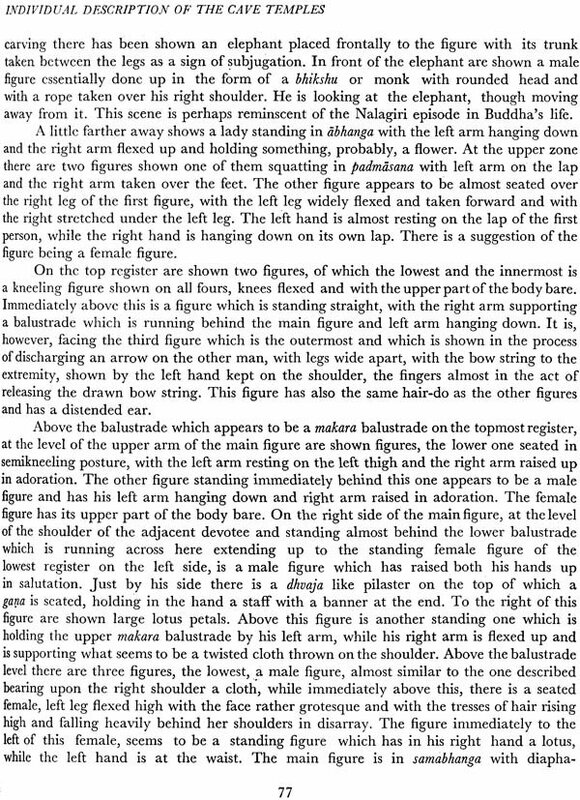 The photographs and plates have been kept reduced to the minimum consistent with the range of the study in order that the volume may be as handy as possible and may not have to be bifurcated into two or more separate parts. In this process some of the line drawings (other than those set amidst the pages and along with them) have been taken with the plates in folds being large sized. The resultant inconvenience to the reader has become unavoidable for which the author craves their indulgence. The author is extremely thankful to all the colleague friends of the temple Survey project (Southern Region) Madras, those in the Directorate and in the survey and outside for having given the benefit of their expertise and time during discussions and to the colleagues the Draughtsman and photographers of the temple survey office and the headquarters in particular for their cordial and energetic labors variously towards the preparation of the illustrations in the field and the processing of the material subsequently for the press. It would not it is hoped be deemed invidious if particular references are made to Sarvashri A.T.P. Ponnuswamy and M.S Mani (both of the murthy all architectural Draughtsmen of the temple Survey office Madras, for their competent labors on the line drawings and to Srhi M. Thyagarajan and Shri T. Palani respectively of the temple Survey and the circle office at Madras for the photographs. Shri S.K. 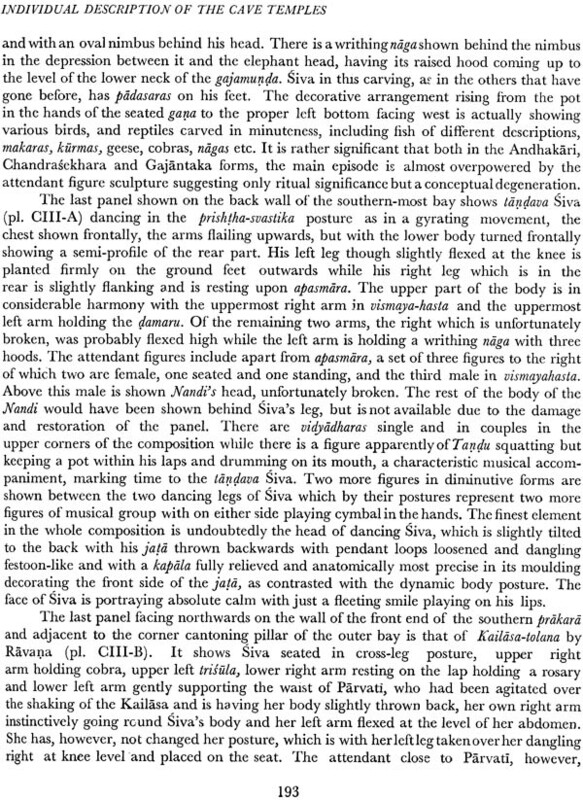 Sundararajan Stenographer Temple Survey (Southern Region) took much if not most of the notes in the field and later prepared the typed draft. The author has pleasure in recording the excellent efforts of Shri S.R. Varma in the organization of the Press matter and of Shri T. Satyamurthy for kindly helping in seeing through the proofs and of Shri T.V. Gopalachari Librarian Archaeological Survey of India New Delhi For kindly preparing the Index. The author is indeed beholden to all of them for their ungrudging assistance. The author should heartily thank Shri B.K. Thapar, Director general Archaeological of India (now retired) especially for his knowledgeable interest in and approval of the publication in time as the third volume in the Architectural survey of temples series. The Early Indian Brahmanical cave architecture in the Deccan is one of the most familiar and yet most complicated phases in Indian art. 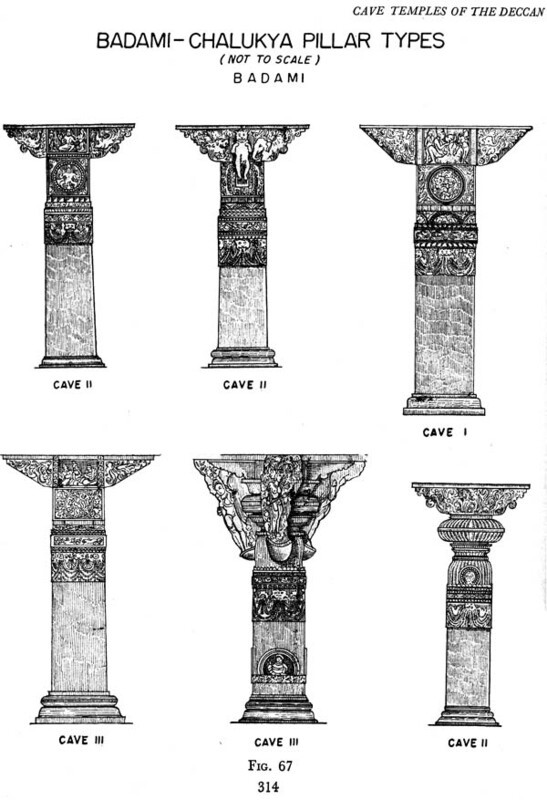 Unlike the deep south, where the cave art under the Pallavas starts from rather rudimentary designing of plan, elevation and pillar forms, the Deccani cave techniques have already been in vogue in Deccan itself as well as in the Central Indian belt for nearly five centuries, at the time of the advent of the Brahmanical excavations under the Chalukyas of Badami. 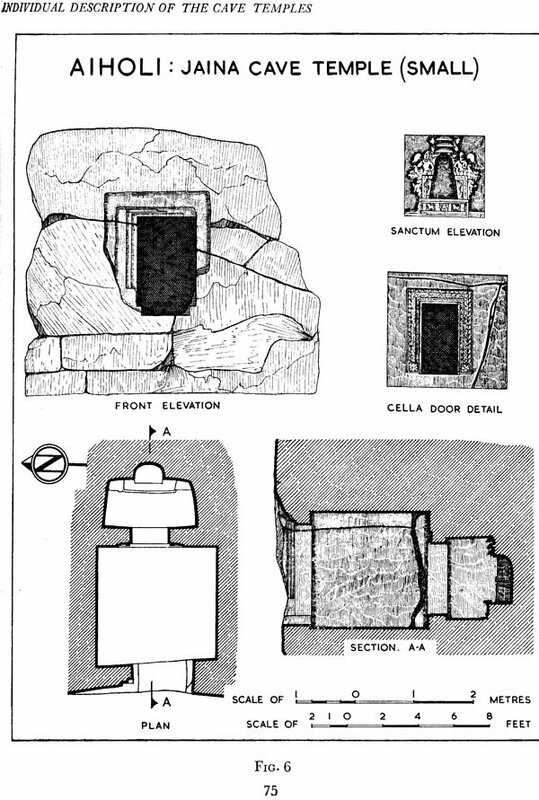 This brought in an amount of evolved concepts in surface ornamentation, but in so far as the cave shrines themselves were concerned, they did introduce new concepts in interior lay-out and indeed even of facade design, which seem to make them a thing apart from the essentially Buddhist cave shrines which had prevailed till then. In fact, the. centuries immediately preceding and succeeding the Christian era saw a dominant and almost deep-rooted patronage of the Buddhistic faith by royalty as well as the rich laiety, and the resurgence of Brahmanic faith on a national level took place with the Guptas in the north and the early Chalukyas and Pallavas in the south. 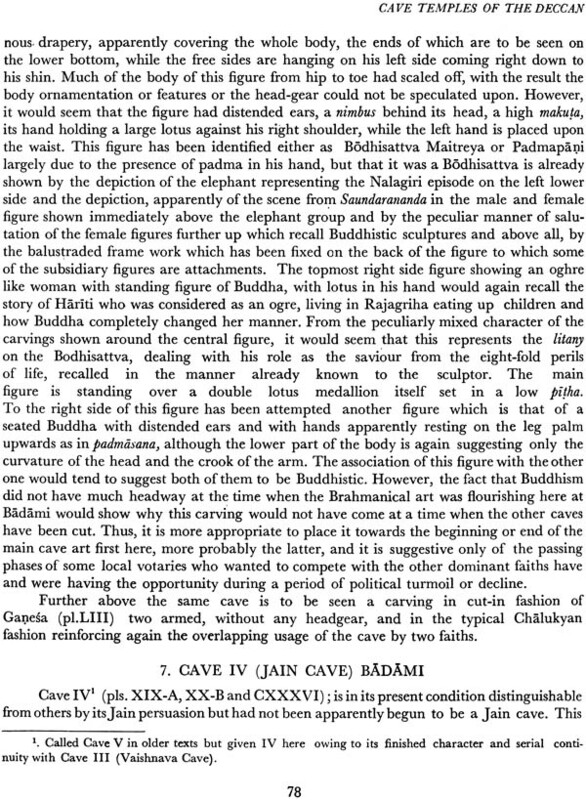 The former were perhaps the first to patronise Brahmanical cave excavations, albeit indirectly, and the earliest of such an enterprise are to be seen in the cave shrines at Udayagiri near Vidisha. 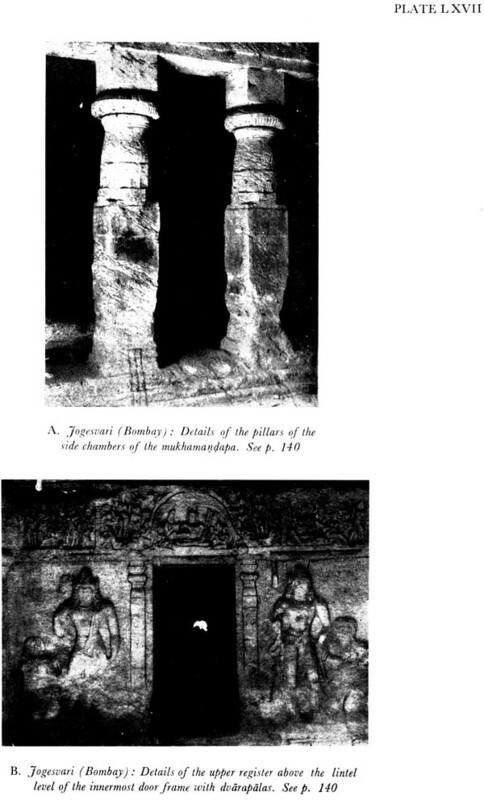 It would suffice to say at this stage that the Udayagiri caves to some extent form the legitimate precursors to the Chalukyan enterprises coming slight later, but it would also be proper not to over-emphasise this, since the former were highly inchoate, aesthetically or schematically, and were essentially the vehicles of the sculptural and figural art of a provincial centre of the Guptas. The shrine plan had not taken any coherant shape then, and this is first in evidence only in the caves of the early Western Chalukyas of Badami. 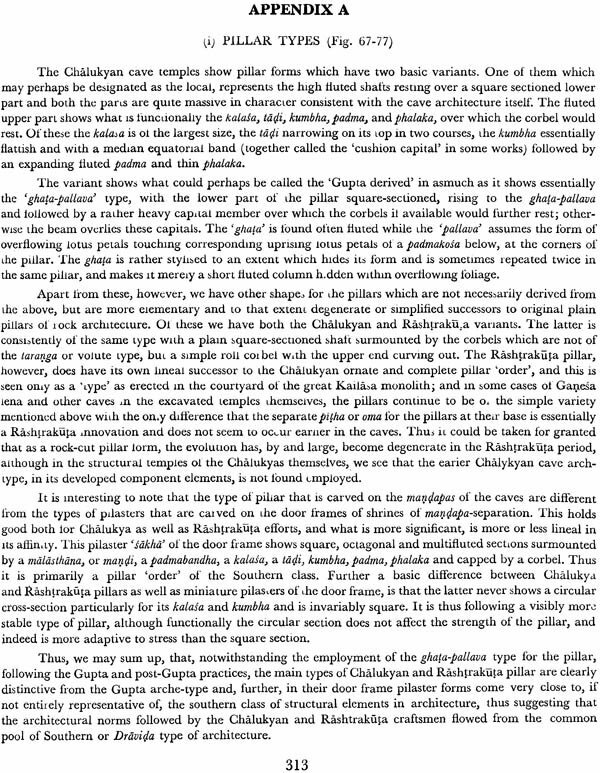 This is not to say that the multitude of Buddhistic caves that had littered the Deccan Trap hills of Western India had no direct or indirect contribution to the efforts that were being made by the patrons of Brahmanic Hinduism, The Brahmanical temple builders would certainly not have wanted to imitate the chaitya hall of the Buddhists for their shrines: and on the other hand, would have wanted to associate a pillared open hall with the shrine. 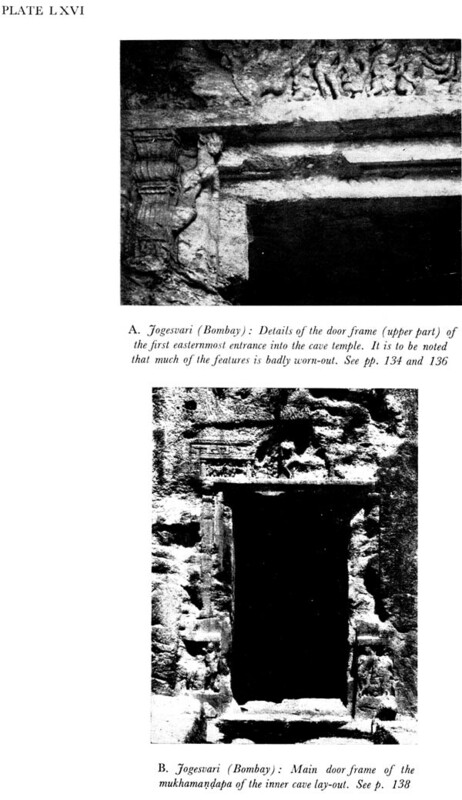 But they could not totally ignore or live down the Buddhist formula in Mahayanism wherein a rough and ready shrine was carved on the rear part of the vihara itself providing for a Buddha cut in the round and circumnavigable, with a door frame in front of this and an attached antechamber leading to the pillared hall. Obviously, this was what was largely to become the rudimentary Brahmanical cave temple also in the contemporary scene. No doubt, under the latter faith, the temple plan and interior perspective grew quickly, phenomenally and differentially, the element of versatility in the temple plan being the most characteristic part of the early Brahmanical faiths. Thus the Buddhist vihara of Mahayana-Ajanta was a proto- type, but there were other variants too. 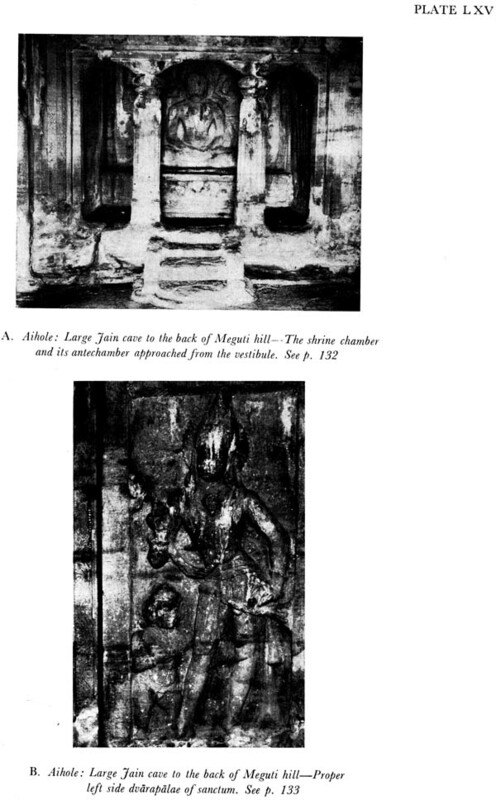 These are represented in the Brabmanical caves at Badami and at Ellora in Ravan-ki-khai, (XIV) Lankesvara cave (XVI), Rarnesvara (XXI) and in Dhumarlena (XXIX). The Ajanta proto-type was to be seen in the Dasavatara cave (XV), where the initiation of rock excavation was probably of the Buddhists, while the snuffling of their faith and implanting of a Brahmanical veneer was that of the Hindu kings of the Rashtrakuta dynasty. The unity of conception and development of the early Brahmanical caves could be appreciated only if all these are brought together under one compass and studied rela- tively in their evolutionary order. They were neither restricted at one single place, nor in the same period or under one single dynasty. 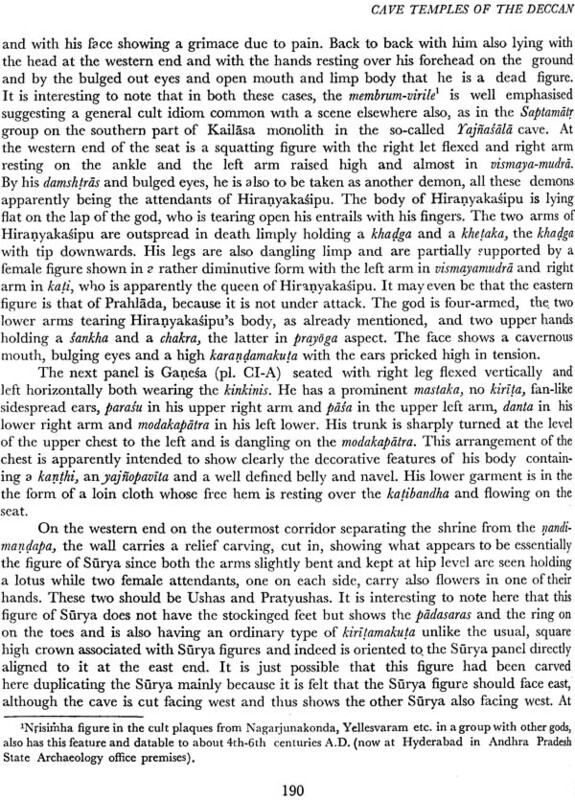 The study, thus, of the Brahmanical cave art of the Chalukyas-as the earliest pioneers in the Deccan in this-their contemporaries and successors, is vital to our understanding of the appropriate context in which the cave art movement took place side by side, as it were, with the structural temples that were also reared up. 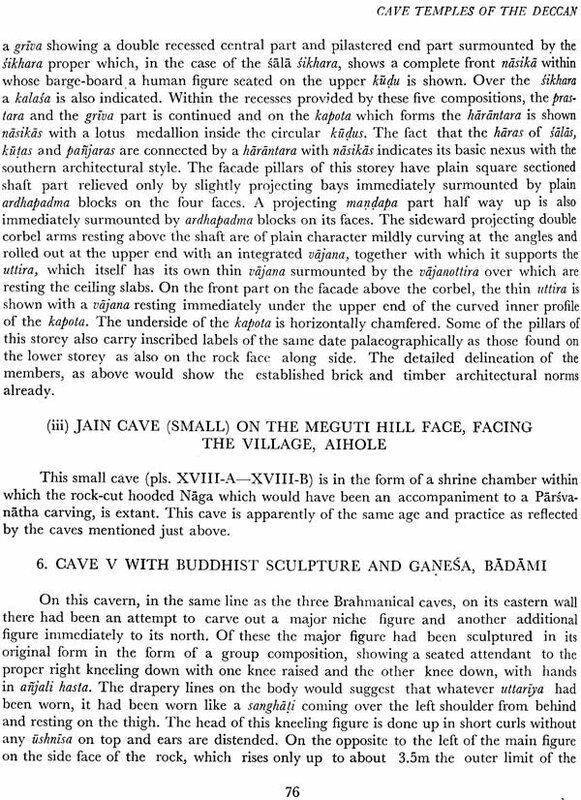 We have had far too many publications on the Buddhist cave art, of Western India and elsewhere, but we do not yet have a coherant narrative, in one volume, of all the Brahmanical ventures in the realm of cave art, the modulations of their shrine-formulae in the rock-cut medium, and the iconographic content of these shrines, their filiations and further polarisation. Percy Brown's is the only respectable exception, but his canvas was very wide, and Chalukyan cave art thus necessarily received rather a summary treatment. There was, besides, no work which combined and compared the Karnataka and Andhra wings of the cave art during the period of the Chalukyas and their successors. The importance of this cannot be underestimated. 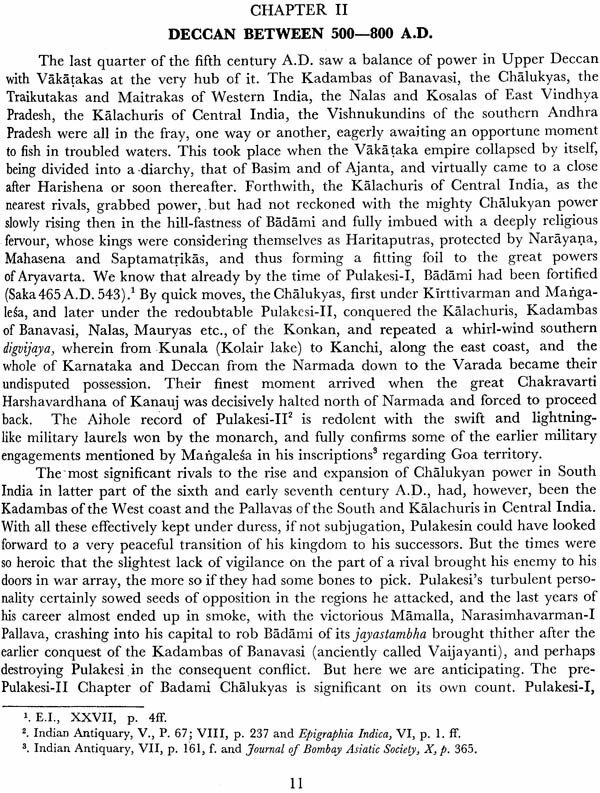 In the following pages, the cave art of the Brahmanical faith alone, under the early dynasties of the Deccan, of the Chalukyas, both Western and Eastern, their contemporaries like the Mauryas and the Bhojas, and their successors like the Rashtrakutas, is documente.j, the chief aim being to give a complete and factual narration of its organic development as far as possible, in architectural parlance, and to place it in a panorama, in the totality alike of its architectonic and iconographic concepts, in order to elucidate how it was a self-imposed essaying in stone-cutter's art with the chief, if not the sole, purpose of providing the counter blast to the Buddhistic creations of the past, and also to train the silats and sthapatis of the Agamic age for the more significant science of structural temple architecture that was already overlapping with the rock-cut enterprise. The scope of the text, one may emphasise, as already stated above, is made meaningful, as it includes the rock-cut creations that took place under the Eastern Chalukyas of Vengi as well. The treatment, however, deliberately excludes the monolithic creations at Ellora under the Rashtrakutas which, owing to their special and massive character, would deserve a separate volume. 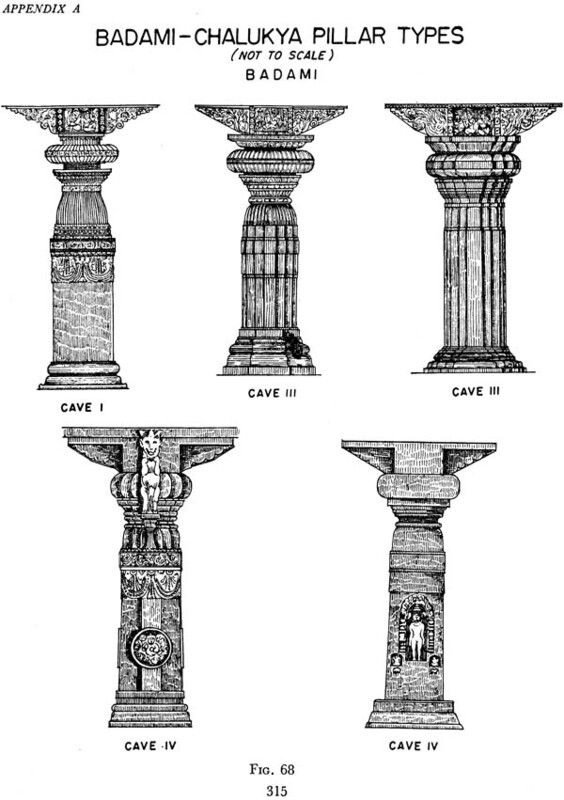 The occurrence of structural architecture in the same region and period and of the same patrons would have introduced a queer situation wherein the stone cutters had to follow an ambidextrous craftsmanship imposed by the limitation of rock-cut art, on the one hand, and special requirement of structural architecture on the other. Thus, the patterns of lay-out attempted had two facies-a simpler and conventionalised scheme and a complex, deluxe or special model. The former invariably displayed a continuity with the cave art traditions of Buddhism gone before, while the latter was to constitute the nexus with structural architecture and ritual necessities created by the renascent Brahmanical religion. In the Rashtrakuta times, the variation between these two modes was made even more severe by the inauguration of the monolithic style, the basic similarlity ending mainly with the character of the deity in the cella. The fact that Rashtrakuta cave, art extended almost up to the end of their temporal sway brought in a steriotyping 0" these ventures, particularly in the medium-sized ones these having become the handiwork of any lesser chieftains or noblemen apparently, and at minimum labour and expense. 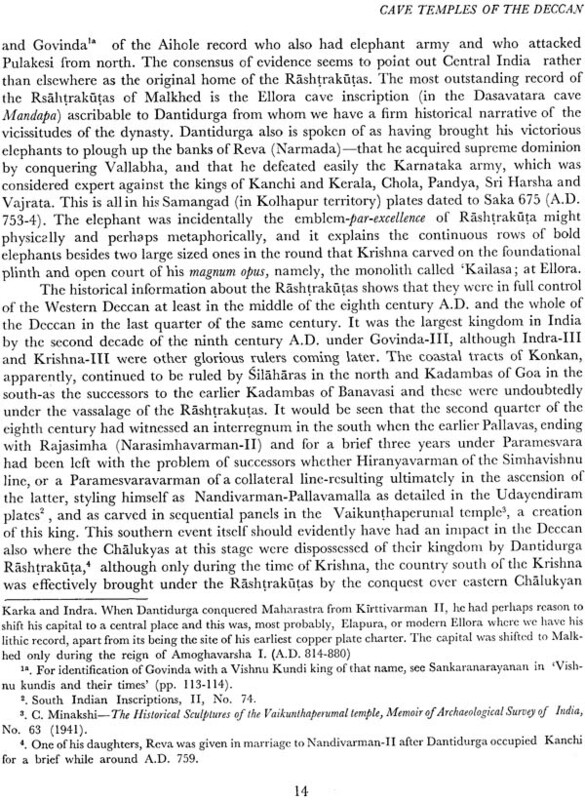 It is significant that the early Western Chalukyas had more or less rationally distributed their cave enter- prises all over their empire which included the entire Kadamba-Silhara tract upto Thana and beyond north, on the west coast, the Vakataka domain in Upper Deccan and their own home ground in the Upper Karnataka around Badami. 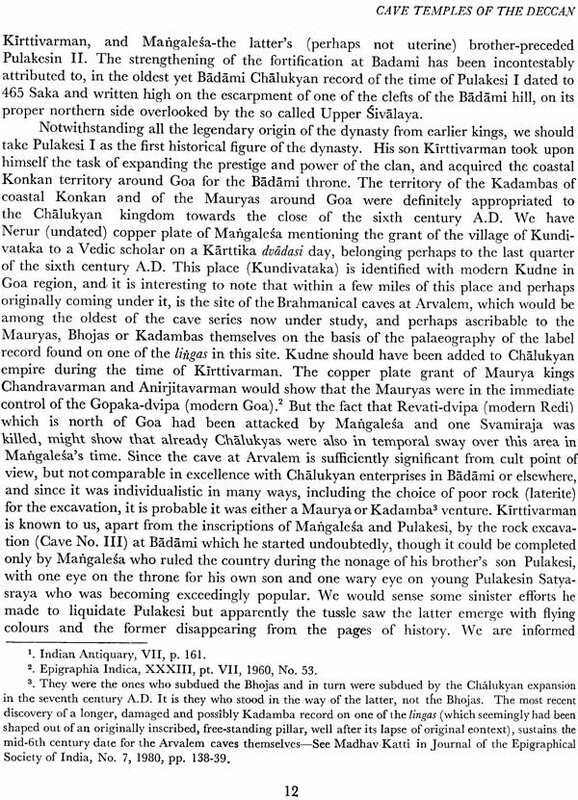 Of course, in each zone, the suitability of the raw material was a factor in the spots selected but, perhaps, the traditional incidence of earlier cave monuments in the vicinity was an undoubted additional conside- ration, except at Badami, where the prestige involved in the adhisthana of the Chalukyan kingdom having been located there, would have called for a very special and important cave temple group rising there. 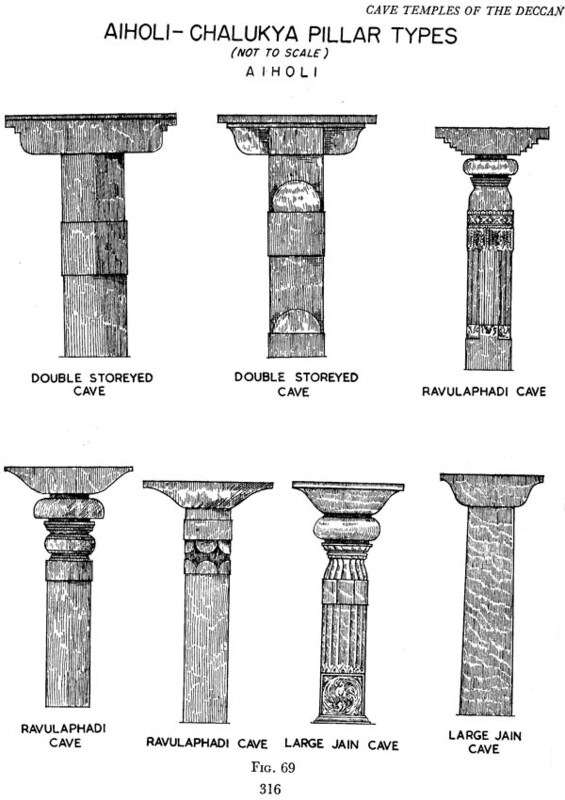 Structural temples of the same period are also noted at Aihole, for instance, alongside cave effort. The three important cave art centres thus nurtured in the Western Chalukyan empire were at and around Badami, around Bombay, (at Elephanta, Mandapesvar, Jogdvari), and at Ellora. The Bombay group is particularly important since it is very closely affiliated to the efforts at Ellora and Badami suggestive of a centralised control in patronage and perhaps even of craft stimulus, not- withstanding the difference in raw material as between Badami, on the one hand, and Bombay and Ellora on the other. Decidedly, the Ma ndapesvar temple is the oldest of the Bombay group, from a stylistic point of view of its architecture and art, and Jogesvari the latest. Together with the Badami caves and the earliest Ellora caves like Ramesvara, Mandapesvar cave would show a freshness of art idiom, a simplicity of architectural form, and a balance of sculpture and orientation.